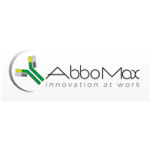 AbboMax Inc is an excellent antibody and assay product and service provider. As a research-driven and customer-focused company, AbboMax is committed to developing biological products and providing professional custom services to add value in both research areas and the improvement of people’s quality of life. If you have sales questions relative to particular products or to your line of research, please contact the CEDARLANE® sales department and have all of your questions answered in a timely and professional manner. © 2019 CEDARLANE. All Rights Reserved.